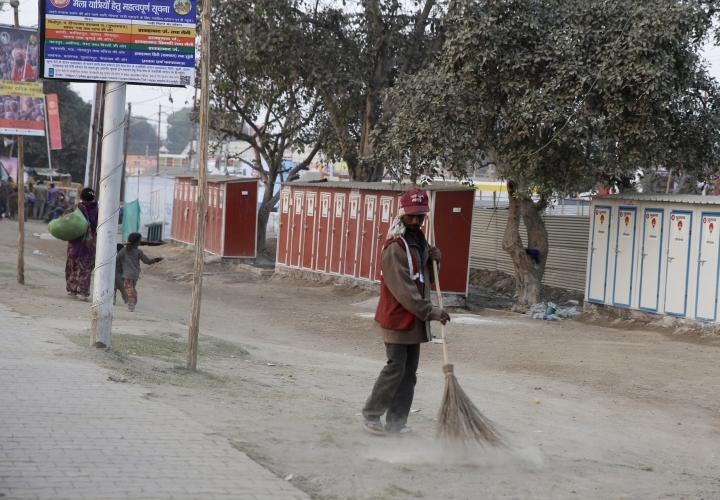 PRAYAGRAJ, India — Thousands of portable toilets line roads constantly swept clean, drinking water flows from newly installed taps, electric substations power a massive tent city and billboards encourage a "clean Kumbh," an extension of Indian Prime Minister Narendra Modi's huge push to improve sanitation across the country. The first of a series of royal baths took place before dawn on Tuesday, led by a procession of sadhus on tractor chariots and on foot, singing, drumming and blowing horns. The first to bathe were the naked, naga sadhus, whose bodies were covered with ash. Huge crowds followed them into the river, including Mili Mishra, a teacher from Prayagraj with her husband and two sons. For this year's Kumbh — though less religiously significant than the Kumbh that happens every 12 years, and still less than the one that occurs every 144 years — the government shelled out an estimated 4.3 billion rupees ($650 million), hoping to impress India's largely Hindu population ahead of general elections this year and draw visitors from around the world. The budget supplied thousands of toilets and urinals, public dormitories, and hundreds of water stations, as well as police, hospitals, 24-hour pharmacies and fire and ambulance services. 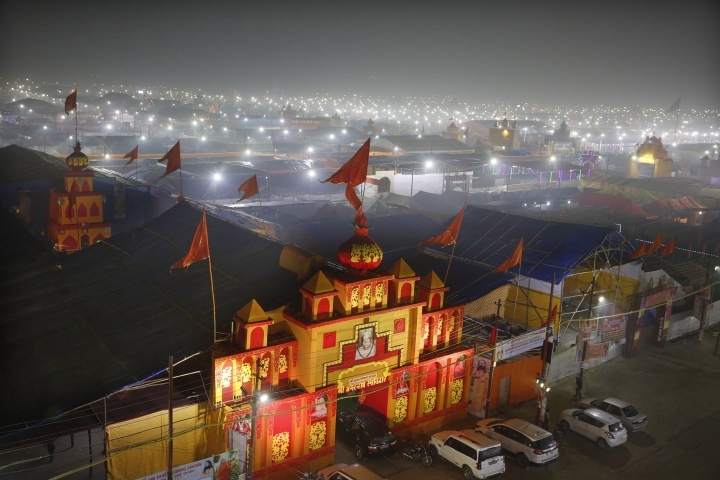 The dust plumes encompassing the camp come from the sandy riverbanks, Goel said, and not from construction, which is banned during the 55-day festival. Still, in the city center outside of the fairgrounds, brick kilns send up clouds of PM 2.5, tiny particulate matter that can dangerously clog lungs. 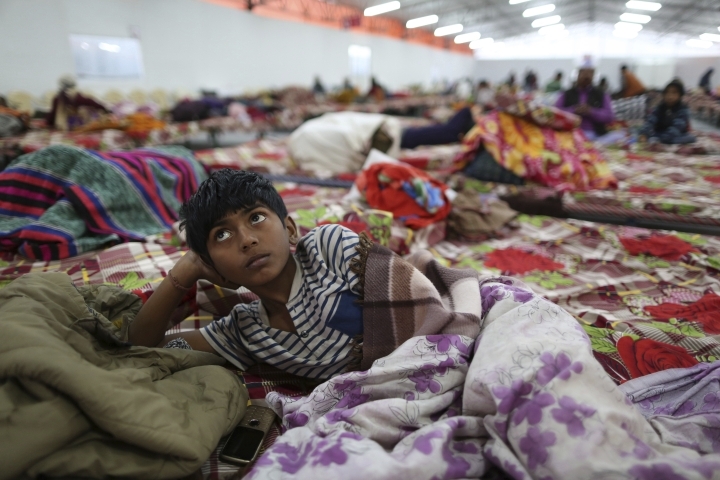 Associated Press journalist Rishabh R. Jain contributed to this report.